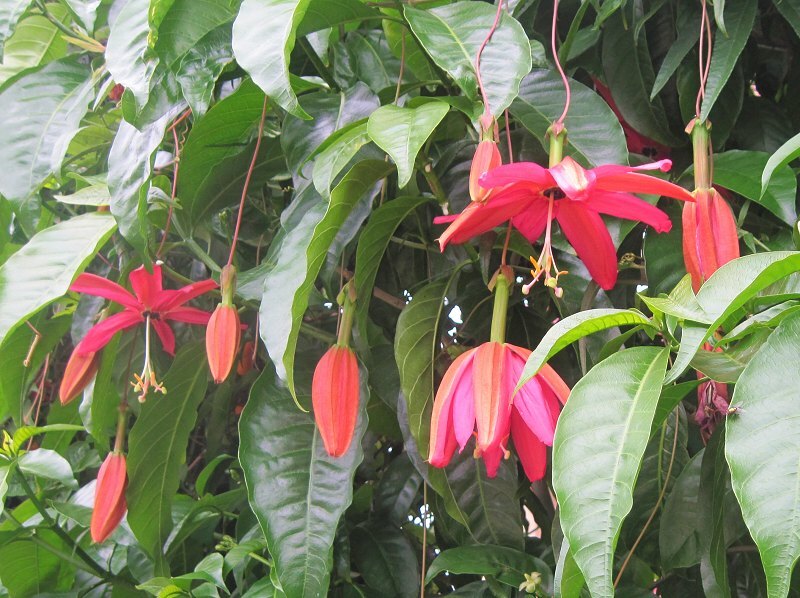 Passiflora ‘Mission Dolores’ is a fabulous hybrid by Carlos Rendon. It is named after a local Mission in San Francisco. 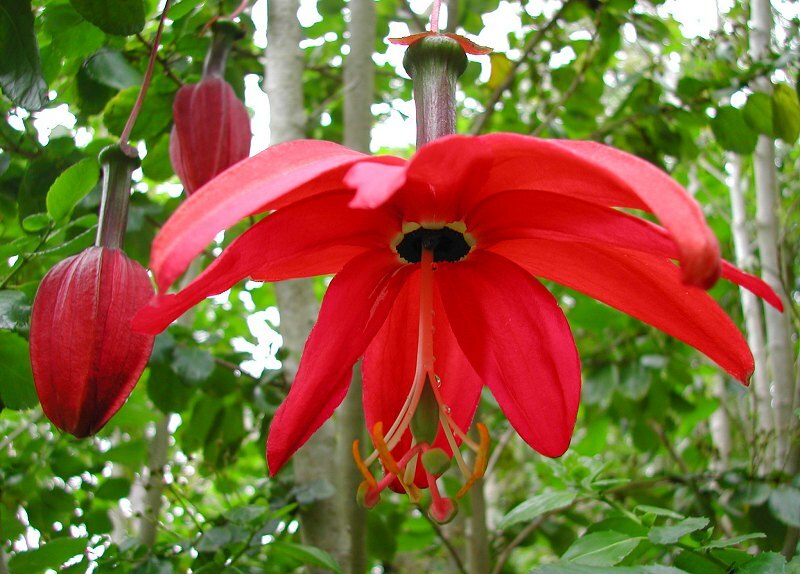 It has a large reddish/pink flower on very long peduncles. 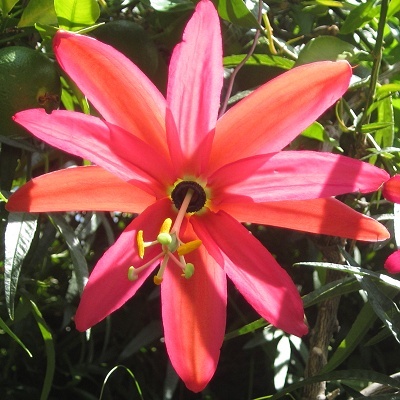 It is a cross between two temperamental species, Passiflora parritae x Passiflora antioquiensis. It is self fertile producing tasty yellow fruit. Seed sown will produce offspring similar to the parent so some Passiflora ‘Mission Dolores’ may not be cuttings from the original plant. The extraordinary thing about this cross is that, although like all Tacsonia it prefers cooler growing conditions, with the exception of Passiflora tarminiana perhaps, it is far easier to care for than either of its parents.